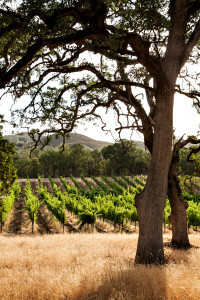 Six Sigma Ranch has 40 acres of high-altitude vineyards, placed among thousands of oak trees. 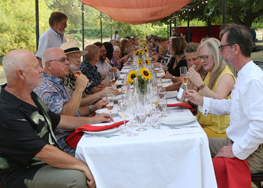 The vineyards stand between 1400 and 1700 feet in elevation, and they are named after the members of the Ahlmann Family who founded them. Else’s Vineyard is located two miles east of the front gate, in the hills by Asbill Valley. It was planted in the fall of 2001 on a picturesque slope near the site of the stage coach house. 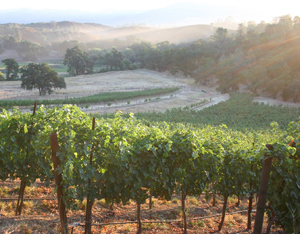 The vineyard contains 2.1 acres of Cabernet Sauvignon. Rootstocks are 101-14 and 3309. Spacing: 6 by 4. It is named after Else Ahlmann, proprietor and wife of Kaj Ahlmann, and it was first harvested in 2004. 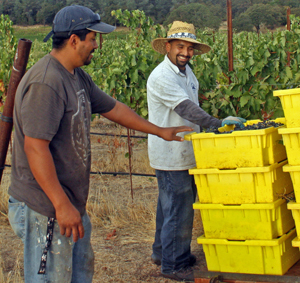 Christian’s vineyard was planted in the fall of 2002 in the Diamond Mine area in the southeastern part of the ranch, about four miles from the front gate. The Diamond Mine earned its name from the “Lake County Diamonds,” which are small volcanic-made pieces of quartz that litter the red volcanic soil and glimmer in the sunlight almost like real (carbon-based) diamonds. This vineyard contains 2 acres of Pinot Noir, 5.1 acres Cabernet Sauvignon, and 2.2 acres Tempranillo. Rootstocks are 101-14 and 44-53. Spacing: 7 by 5. The first harvest was in 2005. It is named after Christian Ahlmann, eldest son of proprietors Else and Kaj Ahlmann. Michael’s Vineyard is located in Asbill Valley, adjacent to the front gate of the property at Spruce Grove Road. This vineyard was planted in the spring of 2004, and it contains 12.7 acres of Sauvignon Blanc vines, placed in irregularly sized vineyard blocks among the ancient oak trees. Although the irregular blocks are less cost-efficient to develop, we believe it is worth the extra effort to keep the natural landscape. Rootstocks are 101-14, 5BB, SO4, and St. George. Spacing: 8 by 5. The first harvest was in 2006. This vineyard is named after Michael Ahlmann, the youngest son of Else and Kaj Ahlmann. In the fall of 2007 and the spring of 2008, we planted in the Diamond Mine area the first 15.6 acres of Marianne and Annette’s Vineyard. Marianne’s vineyard blocks contain 4.3 acres of Tempranillo, 2.0 acres of Syrah, and 0.03 acres of Graciano. 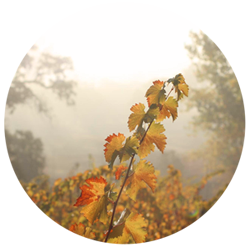 Annette’s blocks are planted with 6.1 acres of Cabernet Sauvignon, 1.9 acres of Merlot and 1.0 acre of Petit Verdot. 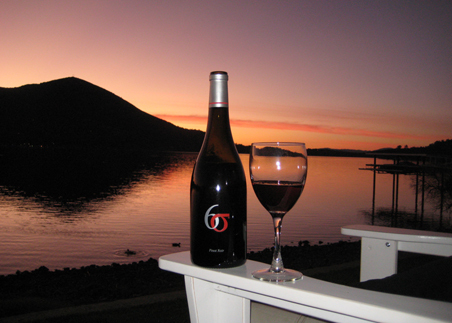 Small lots from these vineyards were harvested in 2009 and 2010, including our award-winning 2010 Syrah. Rootstock: 101-14. Spacing 6 by 3. The vineyard is named after Marianne and Annette, the daughters of Else and Kaj Ahlmann.